Now that Donald Trump is the official Republican Nominee for President, we looked at how North Americans responded to Republican National Convention on Twitter. Our social analysis, collected July 18 to 21, reviewed more than 1.2 million social mentions from commenters in the United States and Canada. Our search included more than 400 terms relating to the convention and its speakers, including the conventions hashtags #RNCinCLE and #RNC2016. We reviewed nine topics in particular: Melania Trump, foreign policy, Islamic terrorism, immigration, protest, gun control, taxes, abortion, and Colbert—the latter referring to late night personality Stephen Colbert who made an appearance on-stage at the convention. Overall, the most common discussions related to Melania Trump and specifically the [alleged] plagiarism of passages Michelle Obama’s speech from the 2008 Democratic National Convention for her own RNC speech. 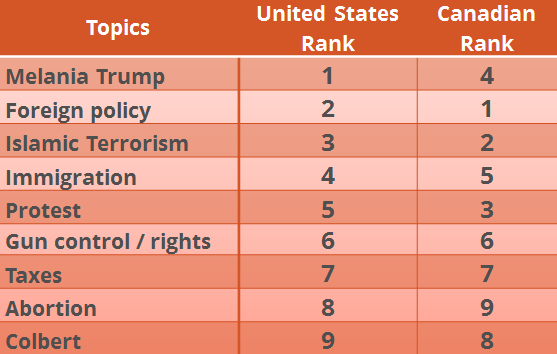 Mrs. Trump maintained a 28 per cent share of voice from the nine topics we tracked followed by foreign policy and terrorism retaining 21 and 18 per cent, respectively. The largest differences between American and Canadian commenters are found in discussions of convention protests, immigration and Melania Trump. For protests and immigration, Canadian’s had 8 and 6 per cent, respectively, higher share of voice than commenters in the U.S. Meanwhile, Americans discussed Mrs. Trump 7 per cent more often than commenters in Canada. Despite Stephen Colbert`s star power, commenters spent more time debating the merits of gun control and taxes than discussing the stunt the comedian pulled where he rushed the stage and shouted in the style of a character from the film The Hunger Games. While Colbert’s stunt failed to catch the attention of RNC2016 commenters, a video of the prank received more than 1.9 million views on YouTube, indicating that his audience is not the same as that of the Republican convention. On any given day in the United States Trump receives at least 625,000 social and news media mentions. On days where he makes a policy announcement, that can quickly grow into the millions. Canadians will mention Trump between 4,000 to 20,000 times a day. 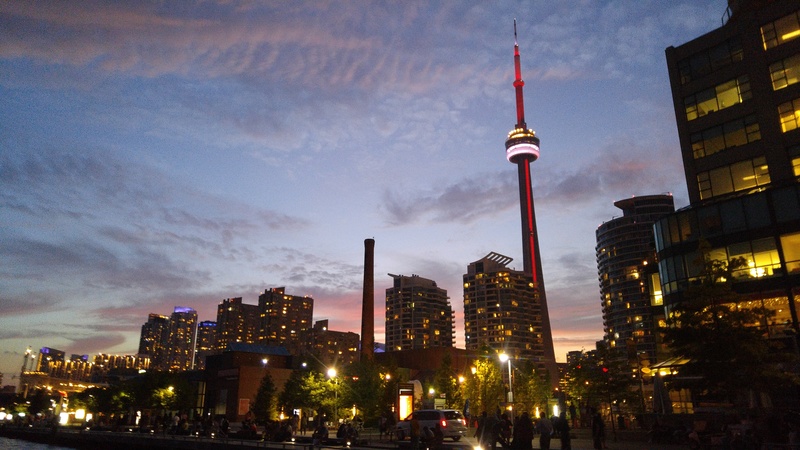 As an example on July 21, the final day of the Republican National Convention, Canadians mentioned Trump more than 18,000 times, Americans mentioned him more than 1 million times. 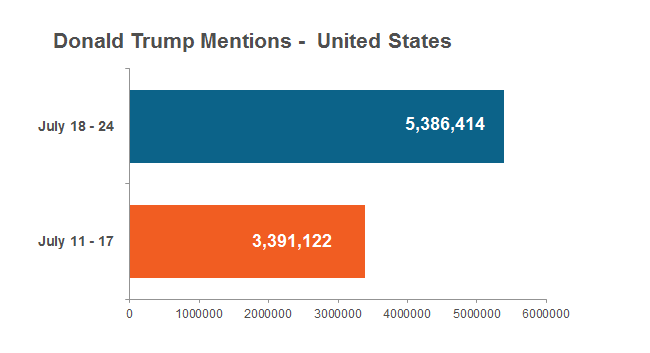 Between July 11 and 17, Americans mentioned Trump more than 3.39 million times. During the RNC the following week, Trump received 5.38 million mentions—a noted 63 per cent increase. 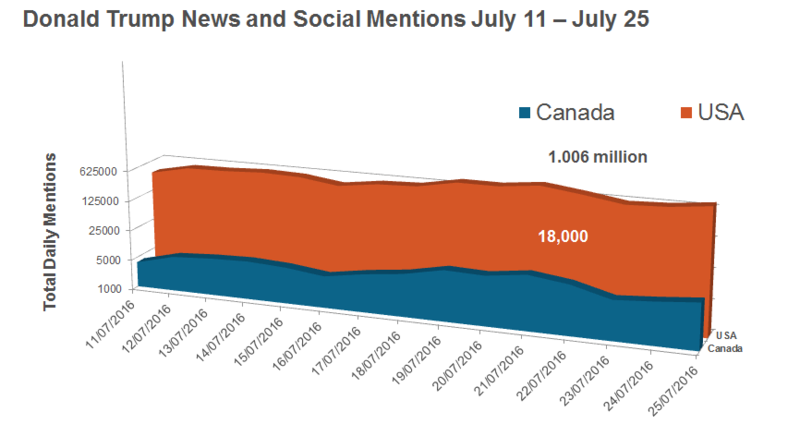 Canadians had a similar reaction with 45,385 mentions between July 11 and 17 and a 50 percent increase to 90,241 mentions the following week. With the conclusion of the Democratic National Convention this week, the real campaign will begin in earnest. Look out for our continued campaign insights as we draw closer to election day on November 8. 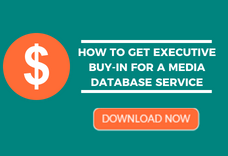 Want to monitor your industry the way we can monitor this campaign? Click here to learn more about Cision’s social intelligence software.